Risk Memo is based on construction site app, every member can send annotated photos and geo-locations, pre-fill a risk assessment entry and suggest control measures. Team leaders can edit the report if needed and assign control measures as a task. Once confirmed it will be sent to the whole team by notification and prompt to read and sign the report. The best thing about this app is, the confirmed reports remain ‘active’ until all employees have signed as ‘read’ and all tasks have been completed. And whenever assigned task for any team member is complete, they can change that status like complete. Alternative the task status will change according to "in progress" or "can't do". And if any case task is not complete in the given deadline, the manager can modify that task or assign to another team to complete that task. Any team member and manages can communicate through chat, so it can be helpful to save people from any risk very easily and as soon as possible. The best part of this app is whenever user post any risk or damage to that site, every member can get the details of the location within a minute. A team of Risk Memo team realized that everywhere construction work is riskier for so many people. They wanted to stop this kind of risk with an instant and easy way. They think managing health and safety and keeping everyone up-to-date over such distances was a real challenge, especially considering the cultural and linguistic barriers too. They went in search of a risk reporting and risk assessment app, but there was none that suited his needs. They could not find a better option except Online platform as every people have smartphones. With the new idea, a team approached Hyperlink InfoSystem to develop an Android and iOS app with Website. After some team discussion and constantly communicating with the client, we have built "RiskMemo" app which helps to banish paperwork, liberate Risk Assessments from the dusty top shelf, rally team to reporting hazards and help keep everyone safe and healthy at work. With Risk Memo, your employees can send photos and geo-locations, pre-fill a risk assessment entry and suggest control measures. A construction manager can add a task to solve that risk with time date and a deadline. Risk assessments are structured into three sections: company, category, and site-specific. 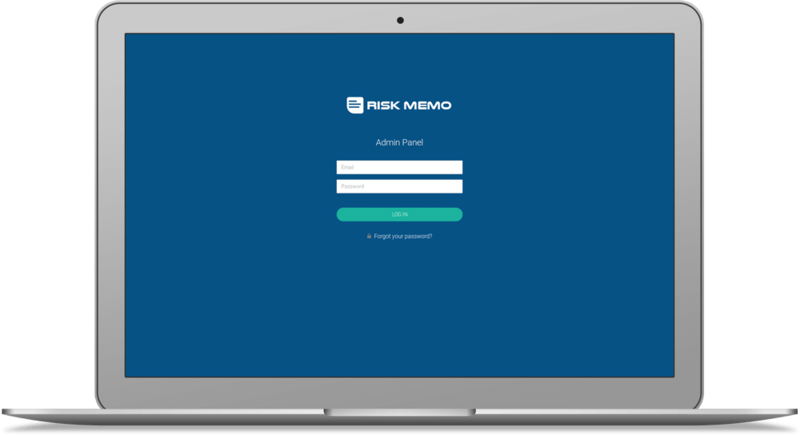 - Multiple locations with generic risks, you only edit once with RiskMemo. - If you are in a struggle in keep your assessments up to date? With the Report and Task Management system, it will be too easy. - PDF or printed assessments soon go out of date and often don’t get read. Every time you edit a Risk Memo assessment, we’ll notify your team. Users need to purchase an account from the admin side. Users can log in using email and password. if a user is an admin, app will show personal and Leader tab else only personal tab, also show SYNC icon. Employees can shows which task is active now through Active tab feature. Tasks tab allows to show you which task is assigned to you. Unread tab shows which task is not read by you. Users can see active risk, his task, and unread items. Every employee needs to confirm that they have read about risk that needs to sign in as read. Employees also need to sign in as read if any edit has been done. Team leader can assign task with date, time and deadline. Users can see details like risk description, location, who might be harmed and how and so on uploaded by other users. Employee can suggest a control measure from risk details. Employee can change their task status it can't go, in progress and complete. Users can see profile with basic details of company. when any user adds risk details. when other employees send message. when any task assigns to employee. whenever status changed in given task. Company can redirect to "Manager Panel"
A Manager can redirect to "Company Panel". Manager can create Risk Assessment Link for particular location this link has open access for all. Users can view general policy and company details. Users can all Risk assessments details based on location. In this app, there are many users like company, manager, team members, and team leaders. Every type has some access and views restriction. To manage everyone in a single app was too tough. But after some team discussion and brainstorming research, our developers came up with one solution. They have added user type in login, and as per login type they handle all the access of views. 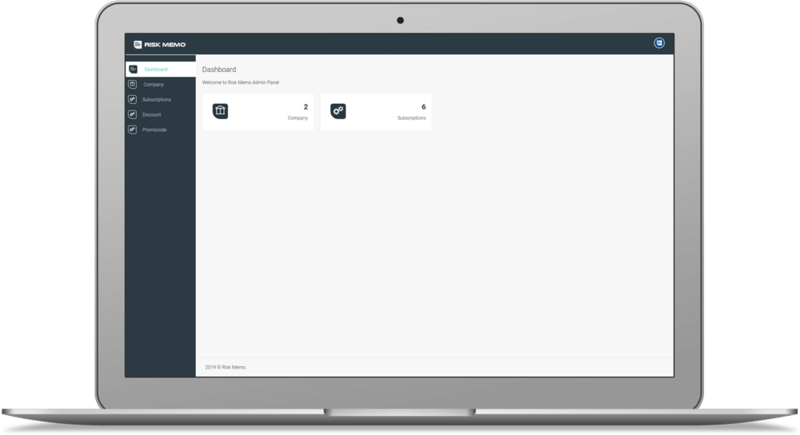 As per app scenario manager have both access in-app & panels so it's difficult to manage their sessions. Our developers resolved these tough challenge by managing multiple sessions for both app & panels.